Vincom Center for Contemporary Art | Exhibition "Fragments"
B1-R3 Floor, Royal City 72A Nguyen Trai Street, Thanh Xuan District, Hanoi. Vincom Center for Contemporary Art (VCCA) is delighted to announce the opening of the exhibition "Fragments", featuring artworks by Japanese artist Hiraki Sawa. This exhibition aims to bring the public closer to the unique art form of video art. As the leading video art exhibition in Vietnam in terms of installation scale, equipment, as well as design and space layout, "Fragments" features 12 videos and 3 prints thoroughly elaborated by Hiraki Sawa, creating a whole imaginary world. These artworks are expressed in forms of fragments - small and separated images, in a way that viewers cannot easily grasp the full story, but can resonate their soul and reflect, to associate the allegories and indications, to contemplate their personal story. Hiraki Sawa (born in 1977) - an outstanding representative of video art - is a Japanese-born artist currently living and working in London. He is the owner of many prestigious awards. His surrealistic, metaphoric works express a distinct artistic character, drawing attention from international art communities and has been displayed throughout the world as well as being included in many prestigious collections. In order to create engaging and meaningful artistic videos, Hiraki Sawa contemplates time, memory, human migration and his existence in the world (position in the world). By combining animated motion and still images inspired by his personal experiences, Hiraki Sawa offers an integrated artistic space that blurs the line between imagination and reality. The exhibition resembles a poetic invitation, bringing the public an innovative, intimate yet profound experience of contemporary art. "VCCA would like to emphasize the importance of introducing to the public a new art form, a proper way to touch the human sensibility in the information society. With video art, you can be entertained or entertain by yourself", said Mr. Mizuki Endo, Artistic Director of VCCA, also the curator of “Fragments”. During the framework of the exhibition, VCCA will hold two artist talks to help people further understand video art as well as Hiraki Sawa’s practices. In addition, VCCA will organise a variety of artistic activities for the community such as workshops and mini-shows. The program has free entrance and is regularly updated on the website and fan page of the Center at: facebook.com/VCCAVIETNAM/. 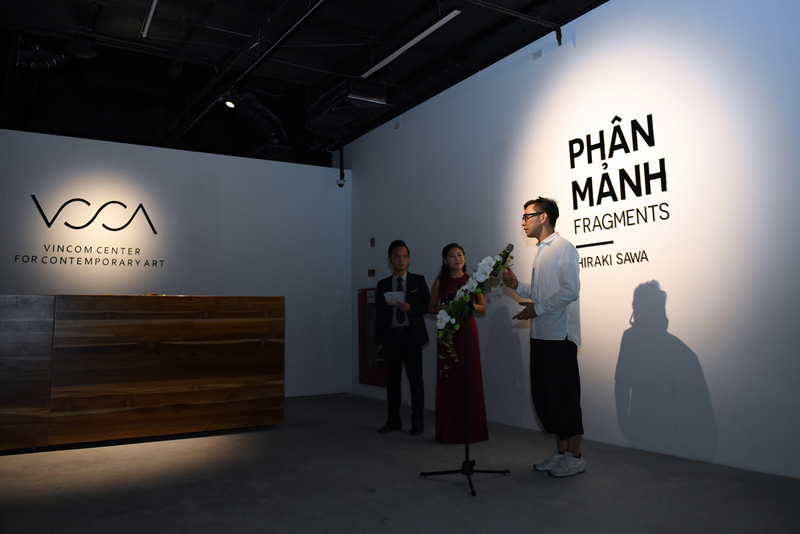 “Fragments” will take place from August 3rd to October 7th 2018 at the Vincom Center for Contemporary Art, B1-R3, Vincom Mega Mall Royal City, 72 Nguyen Trai, Hanoi.